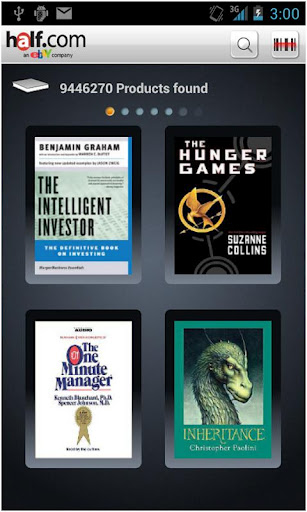 Popular game, book, and textbook site Half.com (owned and operated by eBay) now has an official app, and as with just about every other shopping app, it allows you to browse the virtual store shelves, search for specific items, and place orders. It also includes a nifty barcode scanner to help make sure you snag the right item (and don't get ripped off... *ahem* college bookstores). 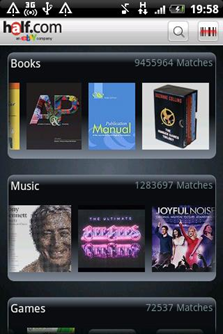 With the Half.com Android application you can buy media titles in books, textbooks, movies, music, games and game systems - anytime, anywhere. Get the best price for next semester's classes by using the barcode scanner to search for textbook titles and have them shipped right to your door. Search for your favorite band to find great deals on a newly released CD. You can use your Wish List to keep track of items that you are interested in, but are not currently in stock. You can set the price and quality rating you desire for each item on your Wish List. Half.com will notify you via email as soon as it becomes available. You will always find great deals on Half.com! 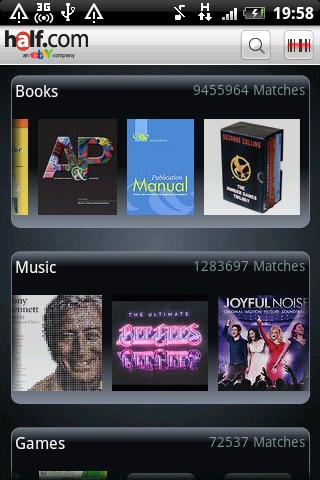 Search or browse: Search or browse millions of titles in books, movies, music and games. 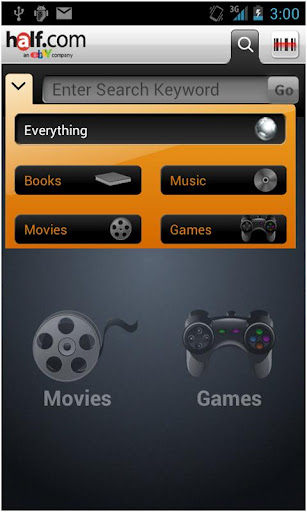 Barcode: Use the barcode scanner to search for the item you are looking to purchase. Checkout and Payment: Use your Speedy Checkout setting with Half.com to checkout on the go. It is safe, simple and fast! The app was actually released two days ago, but only has 4 ratings (for an average of 4.5 out of 5) and 100-500 downloads. To check it out, hit up the link or scan the QR code below.